This project in New England was ordered with a very short canopy drop so the retracted fabric would not hang in front of the windows. 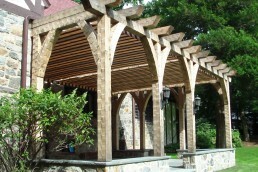 As a standard, the folded fabric can hang down to 22” which is not an issue with stand-alone pergolas. 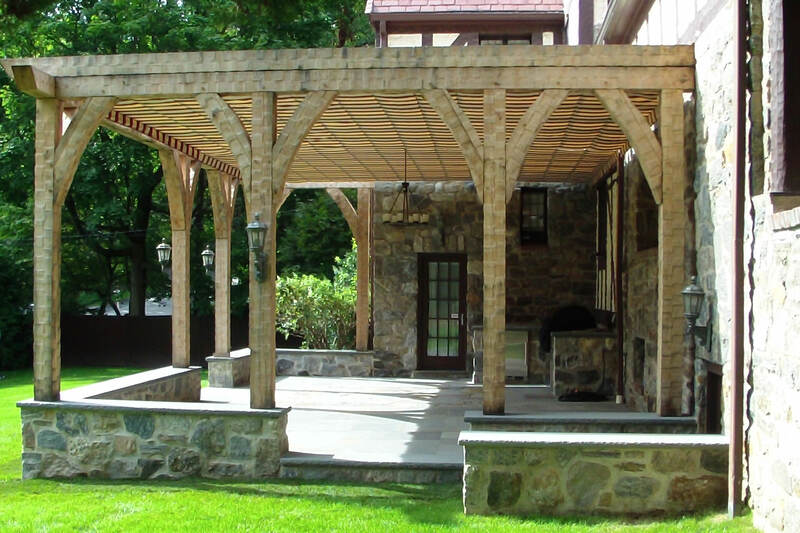 However, when the pergola is attached to a house, the hanging fabric should be taken into consideration. This dimension can be specified and we call it the ‘canopy drop’. It is the distance from the top of the ShadeFX track to the bottom of the folded fabric. The maximum canopy drop is 22” where 4” is made up of the track, and 18” is the fabric. 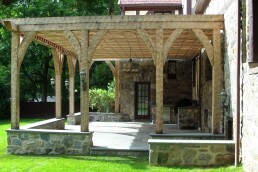 With the addition of more support wings, we can reduce that to about 12” as seen in this installation. This project has a couple of additional features worth mentioning. 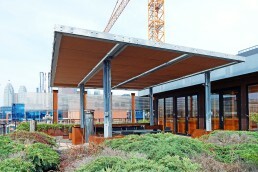 The majority of canopies we ship are solid colors. Every now and then a striped pattern is chosen, and this is a case where it makes for spectacular results. Kudos to the homeowner for having the courage to use a bold striped fabric! 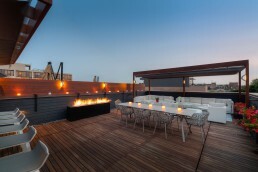 The other feature is the light fixture hanging between the two separate canopies. 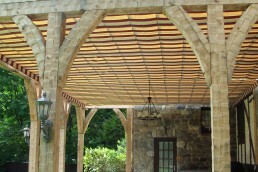 This is one way to manage the lighting and accessories that attach to pergolas. 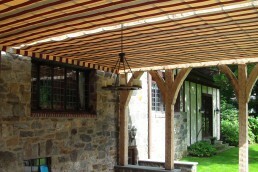 Another way is to use kissing canopies that meet at the light or fan. 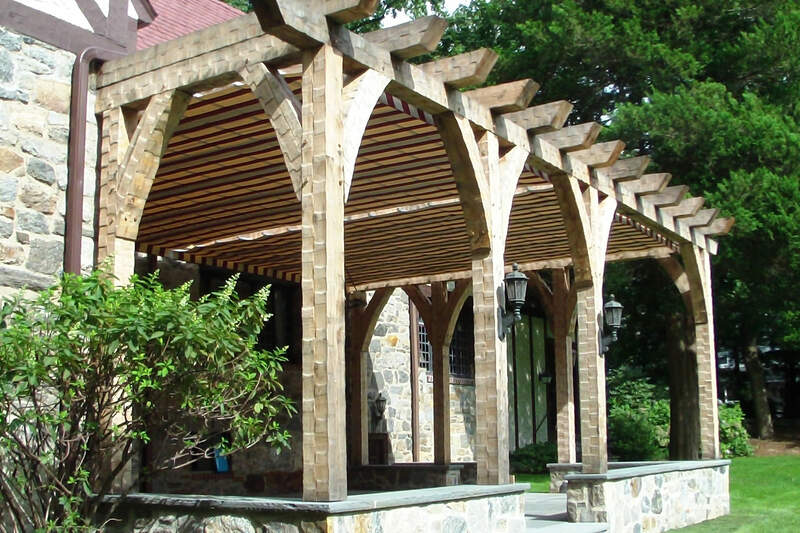 This project in New England was ordered with a very short canopy drop so the retracted fabric would not hang in front of the windows.